Within 24 hours of the 2004 Tsunami hitting large parts of densely populated South East Asia and parts of East Africa, Imperial Logistics’ group company Imres had the first Interagency Emergency Health Kits (IEHKs) at the required destination. In the following days, a total of 84 complete IEHKs were transported to several parts of South East Asia and East Africa. The world is fast becoming used to seeing horrific natural disasters and humanitarian crisis playing out across the globe and while we are all familiar with the images of aid workers on the ground who bravely respond to crises like these, what is not widely highlighted are the dramatic back stories around the complex logistics of getting essential supplies and life-saving medicines to those in need as quickly as possible. In this, Imperial Logistics plays a vital role. According to the Global Humanitarian Assistance Report 2018, an estimated 201 million people in 134 countries needed international humanitarian assistance in 2017. In the last three months of this year, various disasters have claimed hundreds of lives and left millions homeless. These include the eruption of Guatemala’s Fuego Volcano, the Ebola outbreak in the Democratic Republic of Congo and a series of earthquakes in Indonesia. The latest are the horrific fires that have spread across California. The first responders that we usually see in news accounts of disasters and conflicts play a critical role in re-establishing the health infrastructure and getting the first medical aid treatment underway, but how do the medicines and medical products actually get to the disaster affected area? What must be done to get them there as quickly as possible; and who is working behind the scenes to achieve this? “Humanitarian logistics is a branch of logistics that specialises in organising the delivery and warehousing of supplies during natural disasters and emergencies,” explains Imperial Logistics chief strategy officer Cobus Rossouw, adding that this is a field in which Imperial Logistics group company Imres has established a global reputation. “Imres has a long, proven track record of supporting non-governmental organisations (NGOs), governments and aid agencies in executing their emergency relief programmes. Over more than 35 years, the Netherlands based business has been sourcing and distributing the pharmaceuticals, medical consumables, medical kits and hospital equipment that preserves lives after natural and man-made disasters, disease outbreaks and violent conflicts,” he says. “It was Boxing Day 2004. At 7:58 local time, a seaquake with a magnitude of 9.3 hit the Indian Ocean about 160km west of Sumatra. 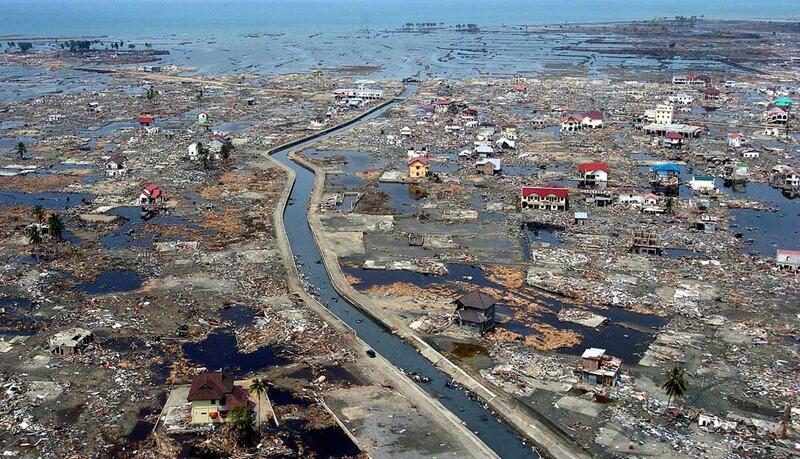 Directly after the disaster occurred, the designated NGOs went in to assess the situation. Almost simultaneously, they contacted Imres on the company’s emergency response line. As it was Boxing Day, no one was in the office but Imres’s core response team was notified and went to the office immediately to prepare whatever was needed to get the right products to the right destinations. The core response team consists of logistics, warehouse and sales employees that are trained for these types of situations. They were continuously in close contact with the NGOs, assessing the products needed and actively advising on the fastest way to get the products to the destination. Rossouw explains that the Interagency Emergency Health Kit (IEHK) is a standardised kit of essential medicines, supplies and equipment deployed by United Nations agencies and other partners that respond to large-scale emergencies. After the most urgent medical need was resolved through the IEHKs, Imres shipped several Reproductive Health Kits to the disaster struck areas, which provided priority reproductive health services to the displaced populations. 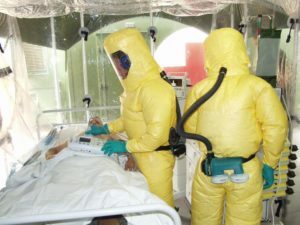 The 2014/2015 Ebola outbreak in West-Africa presented Imperial Group company Imres with huge challenges as they had little experience with an outbreak of this scale. “Imres’s core response team was bolstered with additional staff from our purchase department as we needed to source personal protective equipment (PPE) that was not in our core product range at that time. As time was against all involved in the crisis, we worked 24/7 to source and procure the right products, with the right specifications and quality, to the Ebola affected areas,” says Imperial Logistics chief strategy officer Cobus Rossouw. Another incident was the 2014/2015 Ebola outbreak in West-Africa which was the most widespread ever and resulted in 11 310 deaths in Guinea, Sierra Leone and Liberia. The Imres purchase team focused on sourcing the available products while the logistics team developed the most efficient transport solutions and provided all the necessary paperwork. On-going humanitarian crises that Imres is involved in include the famine and cholera in Yemen and surrounding areas in sub Saharan Africa, for which Cholera Kits are being supplied. The company is also supporting the humanitarian aid efforts focused on the on-going refugee crisis in Yemen, Syria, Kurdistan. Imres IEHKs, Reproductive Health Kits, Trauma Kits, Cholera Kits and Non-Communicable Disease Kits are all being provided. So next time to see or hear of a disaster, think of the many people working behind the scenes in the logistics arena to help alleviate the suffering of those affected.